SAN FERNANDO, CA – On Tuesday, November 11, veterans fighting foreclosure and homeless vets joined Occupy Fights Foreclosures marching in the San Fernando Valley Veterans Day Parade. 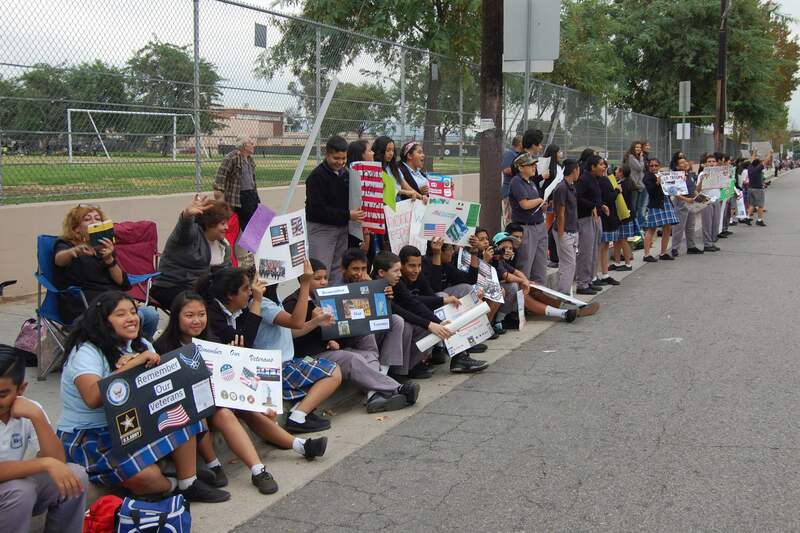 The parade began at 11:11 AM at the corner of Laurel Canyon and San Fernando Mission Boulevards in the City of Mission Hills. 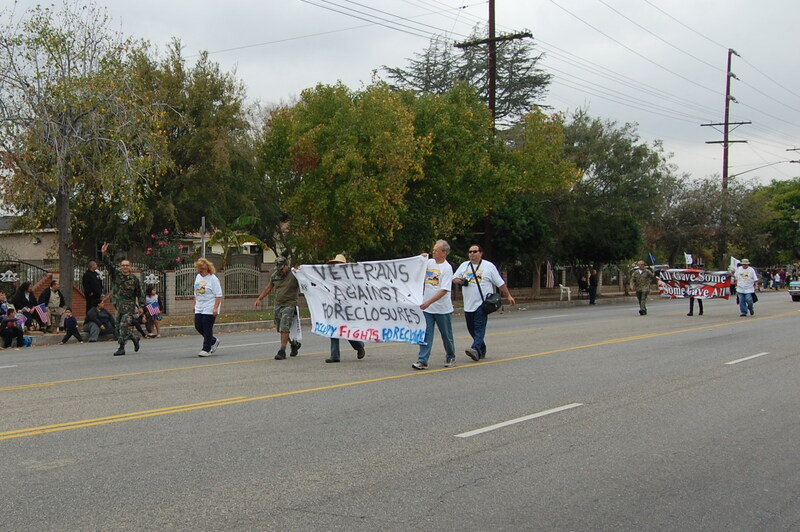 One out of three unhoused people are veterans. 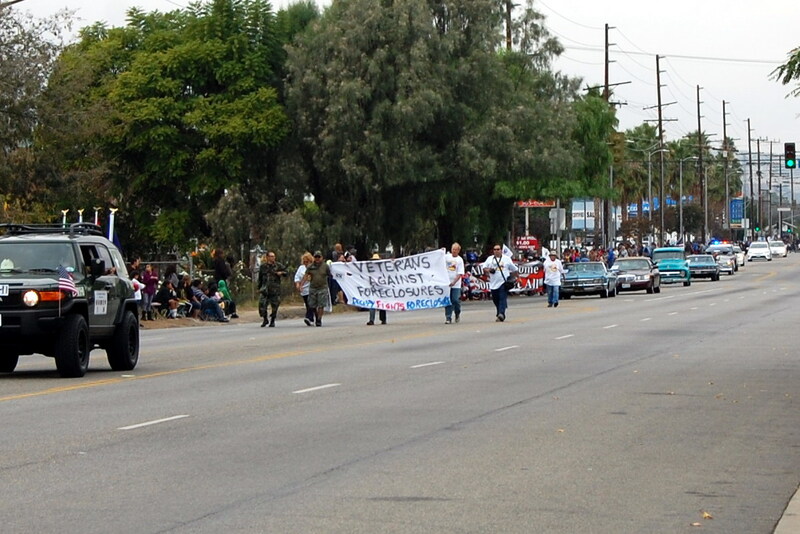 Veteran homeowners and homeless are marching to bring awareness to the ongoing foreclosure crisis. Many veterans continue to fight to stay in their homes while some less fortunate already have joined the countless other homeless people and families on the streets without a roof over their heads. 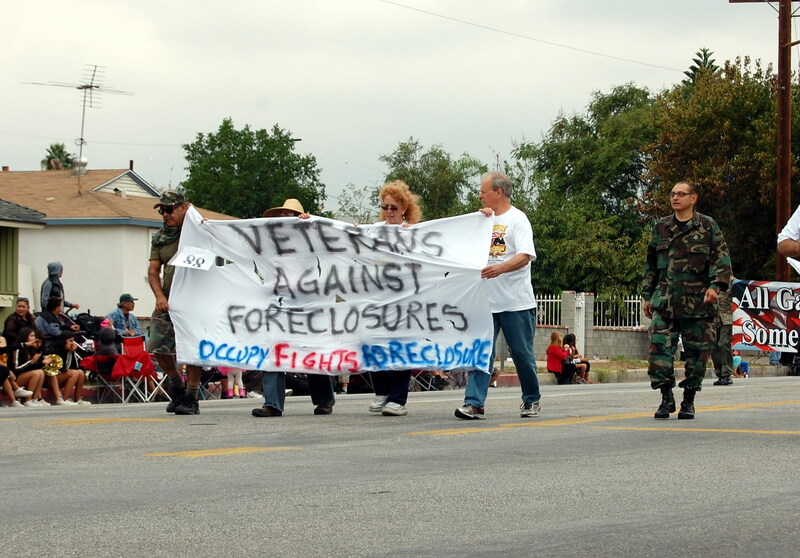 During the foreclosure crisis, banks have taken full advantage of our veterans, who not only have to fight to keep and find jobs, but have to deal with long term illnesses, the high cost of medications, and a bureaucratic system moves slowly, putting them at high risk to lose their homes. 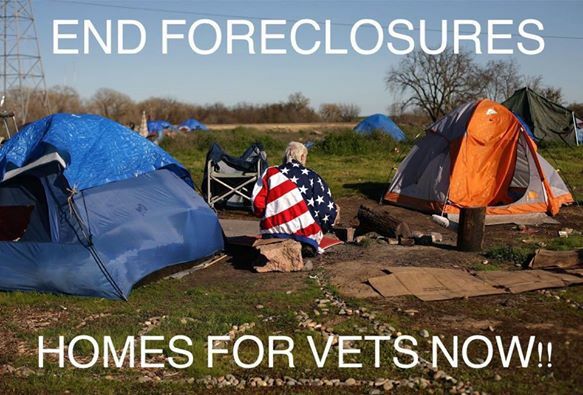 In America, there are about two million vacant homes and tens of thousands homeless veterans without help. 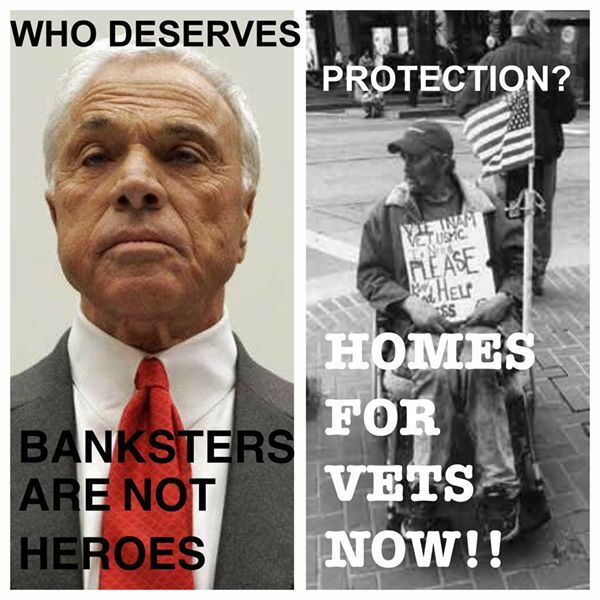 Congress acted quickly to protect the banks but has failed to protect our real heroes—our veterans. There are new laws that protect active duty military personnel from financial institutions acting against them while overseas on tour of duty, but nothing to protect those that honorably served and defended the country. 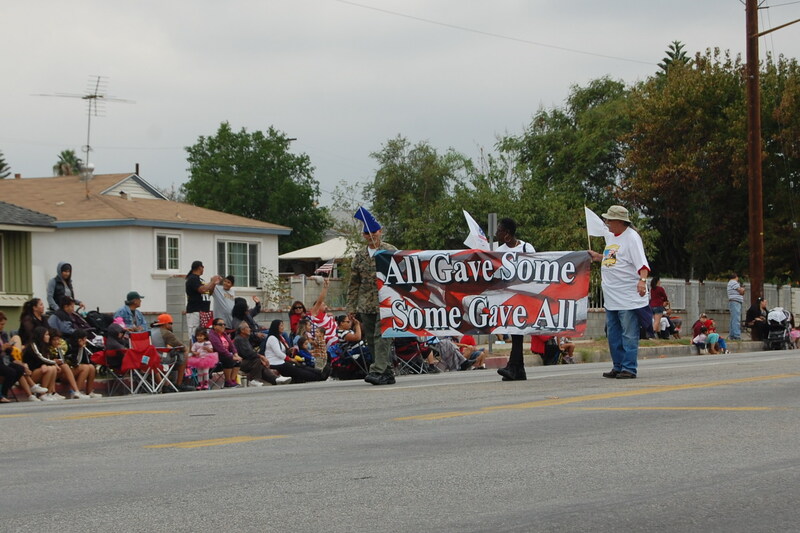 As a country, are we really honoring and protecting those who fought to protect our freedoms? Congress need to act immediately to protect our veterans regardless of when they served. 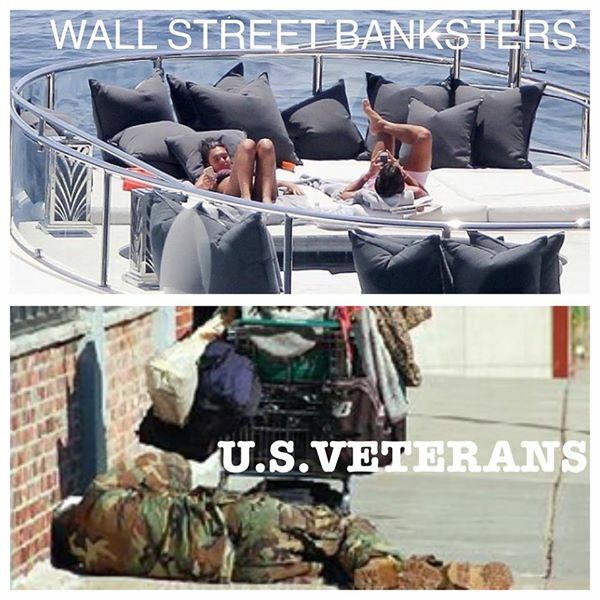 America owes our real patriots, not Wall Street. 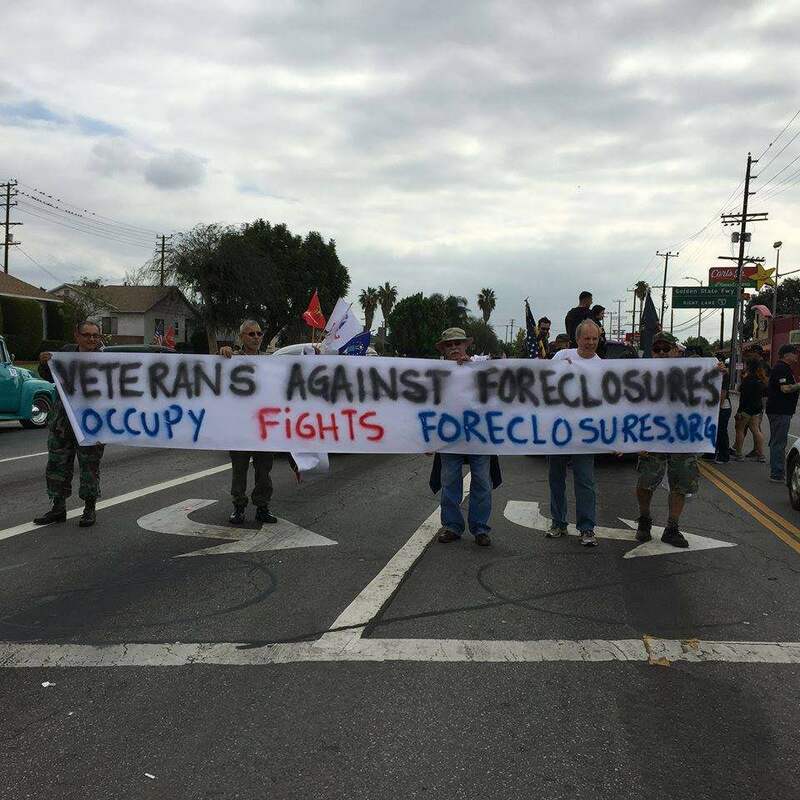 Anyone interested in fighting back against foreclosures and homelessness is encouraged to join Occupy Fights Foreclosures (meets Sunday from 2-4pm and Tuesday from 7-9pm at 530 Ramirez St., Los Angeles).